Sound "Speed and clarity." "The MG-10 preserves the front of each note as well as any speaker I've heard, and unquestionably better than most." "Although it presents the most minute musical details, it manages to do so within the context of the musical whole. The MG-10 is eminently coherent as well as detailed." "When properly set up, the MG-10s cast the most holographic soundstage that I have ever experienced."
. Observing the speaker from the top, you will note the taper of the side walls to form a trapezoid, which is said to eliminate standing waves, improve rigidity, and reduce the internal cabinet volume to 13 liters." Use "Esoteric recommends a minimum amplifier power of 20 watts. Biwirable connections are around back, along with an additional binding post for grounding each speaker. Properly connecting this ground may shield the drivers from spurious RF interference." Value "Whether you are willing to pay $6000 and give up bottom-octave extension and physical presence to achieve top-shelf refinement in the other aspects of performance is left to personal preference." In the audio world, some companies produce only one type of component. In so doing, they can focus all of their research and development resources on only that one product category. But there are other companies that make all of the components necessary to assemble a full system. While such an approach can pay dividends in synergy between components, it does dilute those limited R&D resources. Regular readers of SoundStage! will be familiar with the superb line of digital source components from Esoteric -- the high-end arm of TEAC. Over the past several years, Esoteric has begun to broaden its product offerings -- first to amplifiers and now to speakers. When a small company diversifies its offerings, one must wonder whether the brain trust really knows what it is doing; but when the company is one of the largest players in the consumer-electronics industry, with tremendous resources and expertise, one can only wonder what took them so long. The subject of this review is Esoteric's new MG-10 minimonitor ($6000 USD per pair). The "MG" in the model designation stands for magnesium -- the atomic symbol for which is Mg. Both of the Esoteric-designed drivers used for the MG-10 have cones fabricated from an alloy of this very light metal with a specialized ceramic coating. A technical presentation on Esoteric's website extols the tonal neutrality of this material compared to others typically used in driver construction. The same presentation shows graphs of the impulse response of drivers made from aluminum, titanium, and magnesium. From these graphs you will see that the magnesium driver responds more quickly to the impulse than drivers made from the other two materials, and decays more quickly -- both desirable characteristics. One shouldn't put too much faith in this sort of marketing literature, but it is reassuring to know that there really is research going on here. Although the speakers are primarily designed by Esoteric, Tannoy does the final voicing and assembly in the UK. The MG-10 is a smallish speaker measuring 17 5/16"H x 8 1/2"W x 10 11/16"D and weighing a mere 16 pounds. The cabinet is constructed from high-density birch plywood, internally braced and damped. The MG-10 feels surprisingly rigid for its meager weight, but not completely inert. Observing the speaker from the top, you will note the taper of the side walls to form a trapezoid, which is said to eliminate standing waves, improve rigidity, and reduce the internal cabinet volume to 13 liters. The MG-10 has an average-sized plastic port on the front with a spiral pattern molded into it. That spiral feature could be intended to reduce air turbulence, or might just be aesthetic -- the product literature doesn't mention it. The two coated-magnesium drivers are a 1" tweeter and a 6 1/2" midrange/woofer. Together, they cover the frequency range from 41Hz to 44kHz, crossing over at 1.9kHz via a second-order low-pass/third-order high-pass crossover. Both frequency-response limits are impressive. While 41Hz is not quite reaching into the lowest octave, it is remarkably low for such a diminutive speaker. With port contributions, the MG-10 will seem to reach lower still. At the other end, the merits of having a speaker's frequency response extend to 44kHz are dubious, but there can't be any harm in it. Any lack of high frequencies will, therefore, rest with the remainder of your system, the recording, or your ears. The speaker's claimed sensitivity is an unremarkable 87.5dB, with a nominal impedance of 6 ohms and minimum impedance of 3.8 ohms. The MG-10 should be a relatively easy load for the vast majority of amplifiers -- Esoteric recommends a minimum amplifier power of 20 watts. Biwirable connections are around back, along with an additional binding post for grounding each speaker. Properly connecting this ground may shield the drivers from spurious RF interference. The speakers are finished in an oiled American cherry veneer. Photos, particularly Internet images, don't do justice to this type of finish. In my personal opinion, and that of everyone who has seen these speakers in my listening room, the MG-10s possess a simple elegance. They don't scream high-end audio. They simply nod politely to acknowledge when that adjective has been applied to them. The extreme care that was taken with the visual design of these speakers is evident in the sculpting of the side rails to allow for the mid-woofer mounting to extend the full width of the cabinet. Unfortunately, no care was given in the design of the included grilles. They attach to the speakers by the typical plastic pegs and are blandly rectangular. That wouldn't be an issue, except that they don't completely cover the mid-woofer mounting surface, which peeks out half an inch on either side. I wonder whether the grilles were even designed for these speakers, or just happened to be lying about when it came time to package them. If you absolutely must have grilles to protect the drivers, they will serve that purpose. If not, they should be placed back in the packing box and hidden away. Esoteric did not ship me the dedicated stands for the MG-10, so I placed the speakers atop my 30'-high Plateau stands, the columns of which are filled with kitty litter. You couple the speakers to their dedicated stands by bolts screwed into two threaded metal inserts in the bottom of each speaker. Instead, I used four blobs of a Blu-Tack-like substance to affix each speaker to its perch. I used the supplied jumpers and a single run of DH Labs Q-10 speaker cable to wire each MG-10 to my Graaf GM-50 integrated amplifier. While the tonality of the MG-10s didn't change greatly with placement, I did find that taking care with their positioning paid substantial dividends. When the speakers were perfectly placed, not only did the soundstage come sharply into focus but individual notes seemed to start and decay more precisely. I ended up with the center of each speaker's front baffle 39" from the back wall and 6 1/2' apart. As suggested in Esoteric's literature, I angled the speakers to cross 2 1/2' in front of my listening position. What struck me first about the sound of the MG-10 was its speed and clarity. When heard live, musical notes start and stop at precise moments in time. The attack of each note -- whether struck, bowed, or tongued -- also happens in a particular way, which is part of what separates the sound of real instruments from synthesizers. The MG-10 preserves the front of each note as well as any speaker I've heard, and unquestionably better than most. You need only listen to the first movement of Pehr Henrik Nordgren's "Portraits of Country Fiddlers" on Portraits [Alba ABCD 205] to appreciate the superbly clean way in which the MG-10 reproduces the pizzicato passages. Later, when the entire chamber orchestra strikes the strings with the wood of their bows, you can hear how synchronized they are, yet still hear that not one string is being hit, but many. It is not only modern high-resolution recordings that benefit from the MG-10's exceptional clarity. At the beginning and end of "On Green Dolphin Street" on Very Tall [Verve VRV3145598302], Oscar Peterson strums the strings of the piano. Through the MG-10, I could hear each note of the glissando clearly and distinctly. Playing any recording that possessed such detail, the MG-10 delivered each sound precisely and unambiguously. While music is made up of minute detail, it is more than just the sum of those details. Although I don't quite understand how it is possible, some components seem to highlight the trees but lose sight of the forest. The MG-10 is not one of these. Although it presents the most minute musical details, it manages to do so within the context of the musical whole. The MG-10 is eminently coherent as well as detailed. Instead of detracting from the musicality of the experience, such details add significant nuance and expression to all instruments and voices. Another aspect of the MG-10's precision -- which I believe may be related to its fast transient response -- is its pinpoint imaging. When properly set up, the MG-10s cast the most holographic soundstage that I have ever experienced. It was not, however, the most voluminous stage I've encountered. From left to right, the soundstage extended only slightly beyond the speakers. The back of the stage was significantly behind my back wall, but not quite as far back as with some other speakers. Within those bounds, each instrument was finely placed and did not waver. On the Royal Concertgebouw Orchestra's recent recording of Mahler's Symphony No. 4 [RCO Live 07003], the orchestra was smaller than it would be live, but my listening room is considerably smaller than the Concertgebouw. What the MG-10 gave up in size it more than made up for in vividness. Most important, the soundstage changed from recording to recording. The MG-10 could present large venues when they were on the recording, but it did not add space when none was there. The MG-10 did a superb job at conveying the harmonic texture of individual instruments. I don't mean that it helped me to distinguish between a violin and a viola -- I've heard speakers at one-twentieth the MG-10's price that can do that -- but that I clearly heard the difference between Isaac Stern's and Itzhak Perlman's violins on Isaac Stern; 60th Anniversary Celebration [CBS Masterworks 37244]. I could also hear the interaction of each instrument with its environment. I've heard beautiful cello sounds from Yo-Yo Ma's first recording of the Bach Cello Suites [CBS M2K36867] through many systems, but I had never before so clearly heard the interaction of the cello with the wooden floor of the recording venue. The same instrument in the hands of the same master will sound different in different rooms. If those details are on a recording, your audio system should be capable of reproducing them. A recording which typifies the virtues of the MG-10 is Songs of Debussy and Mozart [ECM 4618992] performed by Juliane Banse and András Schiff. Ms. Banse has a voice that covers the range from delicacy to power, and the Debussy pieces on this disc require both. At both ends of her vocal dynamic range, the Esoteric speakers conveyed every bit of inflection and nuance. They also managed to produce one of the most natural and beautiful vocal timbres that I've heard from recorded music. The MG-10 portrays this recording as having been made in a moderately sized recital hall, with a broad stage and significant, short reverberation. I heard the piano saturating the hall in the louder passages, but moving out of the way in the softer moments. The interactions between piano, voice, and hall are perfectly balanced. Each time I listened to this disc, I could not help but hold my breath at the end of the first track -- in awe of its beauty. Much of the praise should go to the recording engineers, but the MG-10 deserves accolades for preserving all of their hard work. No speaker is perfect, however, and there are two areas in which the MG-10 can be bettered. As one might expect from such a diminutive speaker, bass is a bit on the light side. I would judge the extension in my room to be into the lower-30Hz region, but it was lacking in authority. I heard as much low-end musical activity with the MG-10 as I have with any other two-way stand-mounted speakers, but I rarely felt the bass drums or organ pipes. If you must feel low frequencies as well as hear them, you will either need to look elsewhere or consider adding a subwoofer. The MG-10s have another limitation common to small speakers. When pushed to high SPLs, they did compress the signal noticeably. This compression did not introduce any hardness or other unpleasant artifacts. Simply, the increase in volume with increased power was less than I have come to expect from other speakers. In my 15'W x 16'L x 7'H listening room, I could drive the MG-10 past volumes that I consider comfortable, but it might not fare so well in larger spaces -- especially for someone who likes his music loud. At very high SPLs, the low end of the MG-10s cannot keep up with the high, and a perceptible frequency shift occurs. Since the MG-10s are capable of portraying detail at very low volumes, I cannot say that they have a limited dynamic range -- the difference between the loudest and softest sounds is sufficient. However, if you raise the average volume to the level of live, large-scale music, the swing from moderate volume to loud does not have the effortlessness of some other larger speakers. The low-end and macrodynamic performance of the MG-10 is quite respectable for a design of its size. It does not, however, trick you into thinking that you are listening to a much larger speaker. If I found every small speaker that came through my listening room to be capable of such a feat, it would only indicate that my expectations are not in line with reality. During the time that the Esoteric MG-10s were in residence, I had two other speakers that made for excellent points of comparison. At something over $2000 per pair, my own Amphion Argon2s are less than half of the price of the MG-10s. On the other side, I had the $12,500 Wilson Audio Specialties Duettes, which are more than twice the MG-10s' price. So are the Amphion speakers half as good and the Wilson speakers twice as good? Would that life were so simple! The MG-10s and the Argon2s are similar in many ways. They are both fast and articulate. The tonal balance of the MG-10s is very similar to that of the Argon2s, so I feel confident in saying that the Esoteric speakers have a very flat frequency response. If I were to divide all of the speakers in the world into a few, or a few dozen, categories, these two designs would be placed together. However, in most respects, the MG-10s were also just better than the Argon2s. They were a little faster, a little more articulate, and significantly better at retrieving the most subtle details from a recording. The Amphion speakers image very well, but, as I've written above, the Esoteric speakers are the best I've heard in this regard. The Argon2s are reasonably well extended into the upper frequencies, but the MG-10s are more so. They extend into the stratosphere, displaying refinement and delicacy that are sometimes matched but, in my experience, never exceeded. 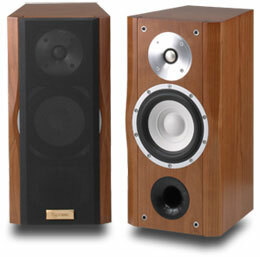 The Amphion speakers are not trounced in all respects though. Although they use the same size drivers as the Esoteric speakers, the Argon2's cabinet is larger. This design choice, amongst others, allows them to play far louder without strain than the little MG-10s. Low-frequency extension is about the same between the two pairs of speakers, but the Amphion speakers deliver those frequencies with greater weight and impact. Overall, I would count the MG-10s the better speakers, but the Argon2s make a respectable showing given the price disparity. The Wilson Audio Duettes make a different contrast to the Esoteric MG-10s. As I wrote in my review of these speakers, they don't sound at all like small speakers. While the low-frequency extension of the Duettes is only marginally greater than that of the MG-10s, they possess tremendous power in the bass that the Esoteric speakers don't even try to match. The Duettes are also perfectly happy playing at extreme SPLs, so long as your amplifier is up to the challenge. Using a pair of $12,500 monitors to throw a rockin' house party seems absurd, but the Duettes might be capable. The ability of the Duettes to play incredibly loud with apparent ease lends recorded music a physicality that is usually only experienced with large, multi-driver floorstanders. While the Duettes conveyed dynamics more akin to live music, the MG-10s better preserved the harmonic structure of individual instruments and their surroundings. With the same Yo-Yo Ma recording mentioned above, the Duettes gave me the sense of having a cello in my listening room. That might sound like a great accomplishment -- and it is -- but my room has a carpeted floor, not the same as the room where the recording was made. However, whether due to a flatter frequency response or less interaction with the listening room, the MG-10s conveyed more of what was actually on the recording than did the Duettes, which were better at transporting the musicians to my listening space. An objective listener will be impressed by either speaker, but I can't imagine that they both would appeal equally to that same listener. If you value power, impact, and a visceral sense of "being there" most highly, then you will choose the Duettes. If, instead, you wish to listen deeply into a recording to uncover all of its harmonic and spatial structure, then you would choose the MG-10s. Music consists of both beauty and excitement. Either speaker will retain both constituents, but the Duettes focus a little more on the excitement, the MG-10s a little more on the beauty. Esoteric may be best known for its digital components, but the MG-10 loudspeaker goes a long way toward broadening the brand's appeal. The MG-10 possesses all of the qualities that you might expect from a minimonitor -- speed, articulation, transparency, tonal accuracy, and incredible soundstaging. However, all speaker designs involve tradeoffs, and minimonitors wear them on their sleeve. Whether you are willing to pay $6000 and give up bottom-octave extension and physical presence to achieve top-shelf refinement in the other aspects of performance is left to personal preference. As for my own listening priorities, the Esoteric MG-10 matches them better than any speaker I've heard. I wonder now what the floorstanding MG-20 would bring to my musical life. Price: $6000 USD per pair.